On a boat or a board, riding the gulf waves or under a 'chute over our coastline, when you set sail in paradise, the wind is your friend. Cool Beans Cruises - Set Sail Onboard "Cool Beans", a New 35 Ft. Catamaran, and Have the Time of Your Life! Specializing in small groups of 3 to 6 guests, you can escape from the crowds for a Personalized 3 Hour Day Sightseeing or Champagne Sunset Cruise in the beautiful pristine waters of the Gulf of Mexico. See Naples and Marco Island the way they are meant to be seen, By Water! Marco Island Sea Excursions - Charters, Beach Parties, Sailing, Airboat Tours, Fishing, Dinner Cruises, Shelling, Corporate Events, Weddings - Individuals and Groups - For over 10 Years, Sea Excursions (Marco Island Sea Excursions) has served the Southwest Florida area. Planners of large and small meetings depend on Sea Excursions to handle the details for a wide variety of activities. A long list of return clients enjoy the efficient, cost effective, personal and responsive service available through Sea Excursions. 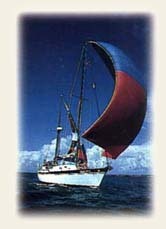 Sail Marco - Sailing Instruction ~ Private Lessons ~ Crewed Charters. 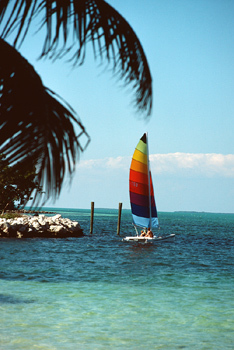 Sail Marco is an American Sailing Association (ASA) Gold Star certified sailing school located on beautiful Marco Island. Marco Island is the largest of the Ten Thousand Islands, located on the Gulf of Mexico in Southwest Florida, just South of Naples. Enjoy a crewed charter about the beautiful sloop Serenidad - a 2000 41' Beneteau that is equipped to provide you and your sailing companions with a comfortable, safe, and thoroughly enjoyable sail on the beautiful Gulf of Mexico.